Starting an ecommerce website or drop shipping business is not an easy mission, especially if you’re starting alone. But what if an ecommerce expert was willing to work with you step-by-step until your business becomes successful? 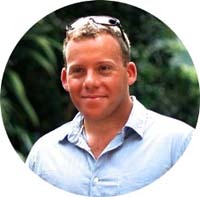 Anton, creator of DropShip Lifestyle, the world’s best ecommerce and drop shipping training course, is just the expert you need! 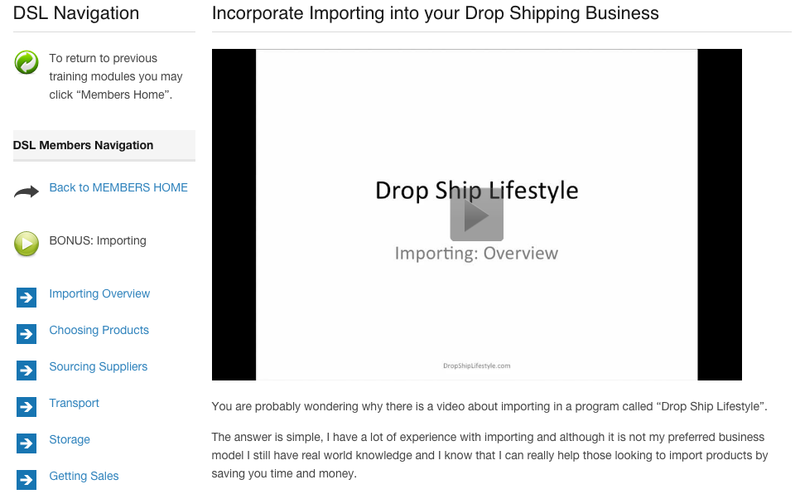 in this post I am going to show you detailed drop ship lifestyle review. 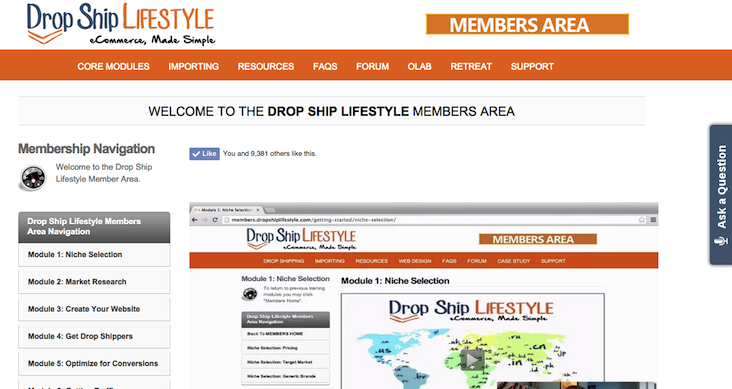 What Does Drop Ship Lifestyle Include? After finishing this module, you will probably start thinking of new ideas you hadn’t thought of before. Once you have your ideas, you can submit them to Anton and he will give you his advice and recommendations regarding your ideas. This shows how much support you will actually receive from Anton and his team. In this module, Anton will teach you how to do proper market research. You will examine your competitors and see what products they offer and which suppliers they use. It’s a pretty straightforward concept, but he guides you through every step of it and provides several examples. After finishing this module, you’ll begin building a list of suppliers that you may possibly work with. Anton himself also shows you whether or not to avoid a certain niche. One of the most daunting parts of starting any drop shipping business is building a great online store that your customers will love. You have to oversee everything such as adding new products, payment options, design, and technical issues. 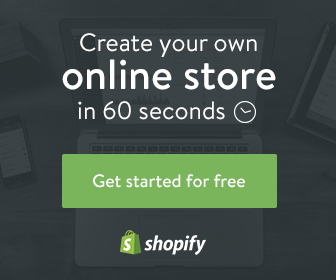 In this section, Anton will walk you through everything you need to build a successful online store. This section contains everything you need to know about contacting suppliers and getting a wholesale account approved with them. In my opinion, this is one of the hardest parts of starting a new drop shipping business that many people fail to accomplish successfully. Having an experienced guide to get you through the process can prove to be invaluable. At this point, you have established your online store and hopefully have started getting some traffic. That’s great, but traffic alone does not lead to conversions or sales. This is actually a big obstacle that many store owners face. In this module, Anton will show you how to make some adjustments and changes to your online store to improve your conversion rate. You will learn the best ways to convert visitors into actual buyers. In addition, he will provide you with stuff you can easily “copy and paste” to add to your own online store in order to make your work easier and save you lots of time. He basically gives you everything he has successfully used throughout the years. Building a website, blog, or online store just to struggle to get traffic is very frustrating. It’s just like a tree without fruit. In this module, you will learn the best tested ways to generate traffic to your online store. These techniques include, but are not limited to: SEO banner ads, amazon product ads, Google Shopping, and The-Find. Anton will show you all the possible ways to generate both free and paid traffic, so don’t worry about having to spend a lot of money to get started Even better, he’ll show you the best way to use whatever budget you have. Even if you only have $10–$15 to spend, he’ll show you how to get the most out of that tiny amount. This is something that no one else will teach you to do elsewhere. Automation is not a must for becoming successful, but it is something you can do once your online store is profitable. This module will show you how to keep your store buzzing while doing very little work in exchange for an extra reasonable cost. For example, he will show you how to use a specific app which costs about $15/mo to automate certain tasks. Again, it’s not require to use such tools, but it is helpful when your store becomes bigger. In this module, Anton will divide all tasks associated with building your online store into a 5-day plan. This helpful plan will guide you on what to do each day from the first to the last. 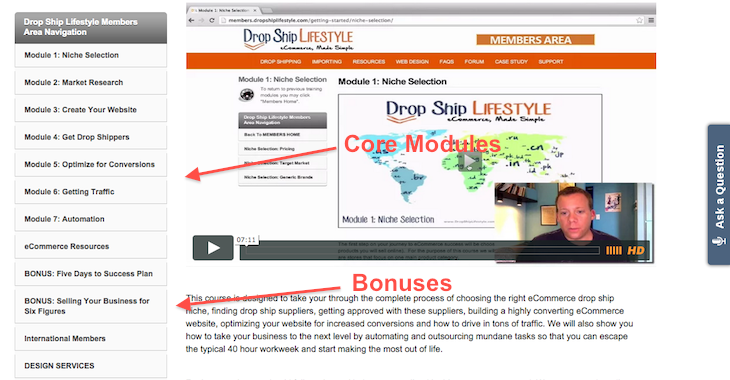 In this bonus module, Anton will show you how you can flip your store and make good money out of it. He’ll also show you how to build new successful online stores and how to flip them later for huge profit. This bonus, which you are recommended to watch once your store is up and running, is highly valuable. Anton will show you cases from Drop Ship Lifestyle’s most successful members so that you can learn exactly what works and what doesn’t based on their experiences. This is an additional section created for those who want to know more about importing goods, transportation, storage, and getting sales. You don’t actually need to look at any of this when you’re just getting started. 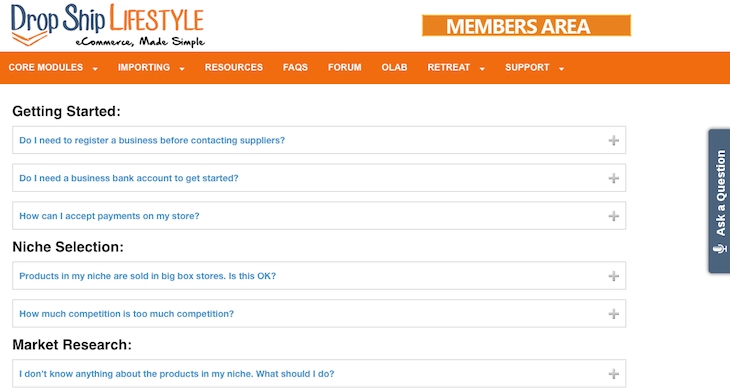 This section is more for people interested in taking their online store to the next level. FAQ page covers all common questions that new drop shippers have. Our Drop Ship Lifestyle review would not be complete without telling you about the man behind the course. At the age of 24, Anton Louis Kraly was able to take his first ecommerce store from $0 to $1.8 million. Since then, he has created several 7-figure businesses by applying the power of drop shipping. His businesses have been featured in KillerStartups, Wired, and on other top media websites. Anton has taught and mentored thousands of students. Many of them have replaced their full time jobs by creating real internet businesses using Anton’s proven system of starting and growing online stores. Does Drop Ship Lifestyle Apply to International Members? Niche Selection Verification, where Anton will validate your idea before you get started. Two successful store templates that you can copy. 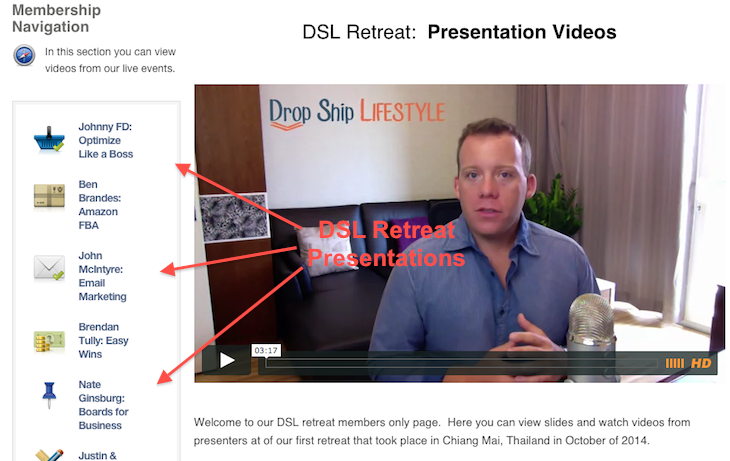 BONUS: DSL Retreat Presentation Recordings—over 6 hours of actionable content. BONUS: A step-by-step ecommerce design video training course. 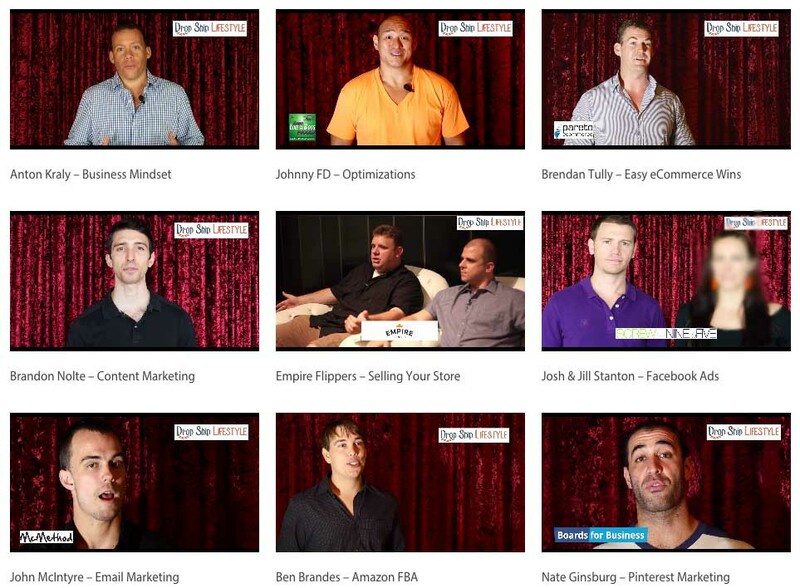 BONUS: Anton’s “Insiders” video series with case studies and interviews from the most successful members. BONUS: Two invitations to a 4-day annual “DSL Retreat” workshop. The first important factor about drop ship lifestyle is being supervised by Anton himself until your business is successful. and the second factor is the annual retreat. the retreat is an annual event for the drop ship lifestyle members only. you and other members will go to a beautiful tourist country for few days. It is recreational and educational camp. the retreats consists of actionable presentations, coworking, networking and fun. you will have direct talk with Anton and all his team plus you will talk with member around the world to share benefits and expertise with each other. the retreat costs around $300. No one else will give you such opportunity. Is Drop Ship Lifestyle Worth the Money? I think this is the most crucial point to clear up in this drop ship lifestyle review. You want to know if the training is worth the money. To be honest with you, the answer is yes. When you are working with and being mentor by a very successful person in ecommerce and drop shipping, you are actually being given a chance to stand out and have a successful online store. Anton has a ton of experience in selling on eBay, Amazon, Alibaba, and his own store. He also has experience in niche stores, marketing, drop shipping, suppliers, and much more. Just ask yourself how much time and money you would spend to be an expert on all of that. Furthermore, you’re going to be mentored by Anton himself. He will talk to you and walk with you until your business is prosperous. 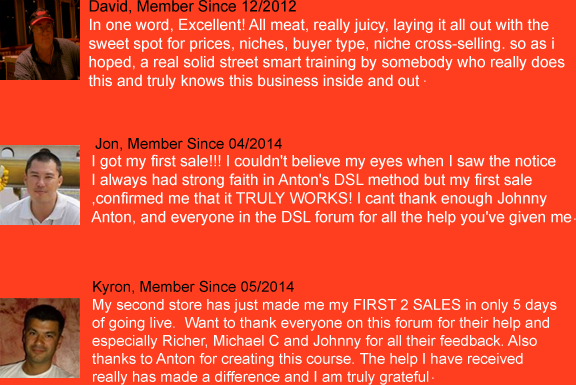 I’m sure that if you follow Anton’s training, you’ll get your money back within the first month or even less via the sales you will be able to generate. Even better, if you find the training useless (which I’m positive won’t happen), you can have your money fully refunded. There’s nothing to lose. Be courageous and ready for your new online store! All you have to do is open your wallet, get out your credit card, and start your venture now. It’s your decision to either invest for your next successful online drop shipping store or stay in the dark dreaming for a business. so total gift value is around $157. Am I right when I say irresistible gift? To redeem the gift please contact me first and I will give you all simple detail. If you like my Drop Ship Lifestyle review kindly share it with your friends on social media, so that you friends can read a comprehensive drop ship lifestyle review in case they want to establish eCommerce store based on drop shipping business model. 1-Does Anton go over bookkeeping at all for the eCommerce websites? Yes, this is discussed in detail on the Drop Ship Lifestyle private forum. 2-Do I need to get a business license before contacting suppliers? Yes, you need an EIN #, and usually a Tax ID if you are planning on doing business in the states. If you need help obtaining these, just check the Drop Ship Lifestyle private forum. 3-Will I need to setup a business bank account? A personal checking account is ok.
4-Have you used Anton’s email support inside the course? If so, how helpful is he? Anton himself and his team are very helpful. they respond to all detail you have. 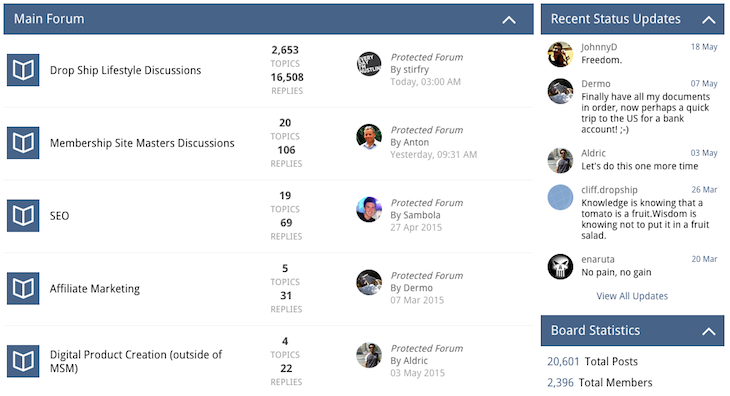 You can ask questions to Anton via email, and you have 24/7 access to the entire community on the forum. >>If you have questions or something to say, please comment below. I noticed on your drop ship lifestyle review that the retreat costs around $300. I wonder is that stands alone payment. or a gift. It is a stand alone payment. but it is an optional if you want to go out with the drop ship lifestyle team. the payment covers travel things. and by the way all retreat videos will be in your member area for free once done. I am new to eCommerce and drop shipping. I was previously doing some affiliate marketing on site likes clickbank. but when I read information about the drop shipping business model on your site https://www.2dropshipping.com , I liked the idea. 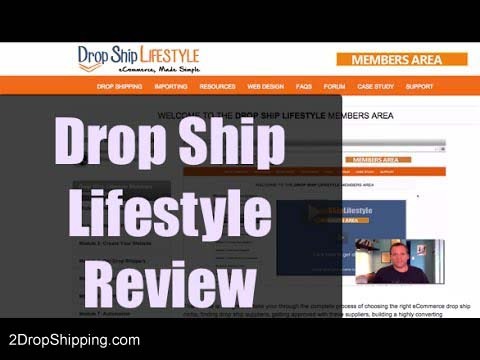 I also liked drop ship lifestyle and have read the review. but I have a question. will the course be easy for beginner like me. This drop ship lifestyle is made for beginner like you and also it helps advance people. if you follow the easy steps you will be fine.